Distributed scheduling problems are among the most investigated research topics in the fields of Operational Research, and represents one of the greatest challenges faced by industrialists and researchers today. The Distributed Job shop Scheduling Problem (DJSP) deals with the assignment of jobs to factories and with determining the sequence of operations on each machine in distributed manufacturing environments. The objective is to minimize the global makespan over all the factories. Since the problem is NP-hard to solve, one option to cope with this intractability is to use an approximation algorithm that guarantees near-optimal solutions quickly. Ant based algorithm has proved to be very effective and efficient in numerous scheduling problems, such as permutation flow shop scheduling, flexible job shop scheduling problems and network scheduling, etc. 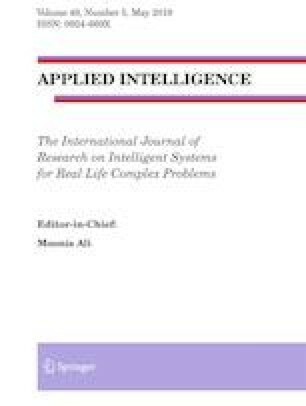 This paper proposes a hybrid ant colony algorithm combined with local search to solve the Distributed Job shop Scheduling Problem. A novel dynamic assignment rule of jobs to factories is also proposed. Furthermore, the Taguchi method for robust design is adopted for finding the optimum combination of parameters of the ant-based algorithm. To validate the performance of the proposed algorithm, intensive experiments are carried out on 480 large instances derived from well-known classical job-shop scheduling benchmarks. Also, we show that our algorithm can process up to 10 factories. The results prove the efficiency of the proposed algorithm in comparison with others.